It’s cold outside, everyone’s coming over for a party and they’ll be hungry. 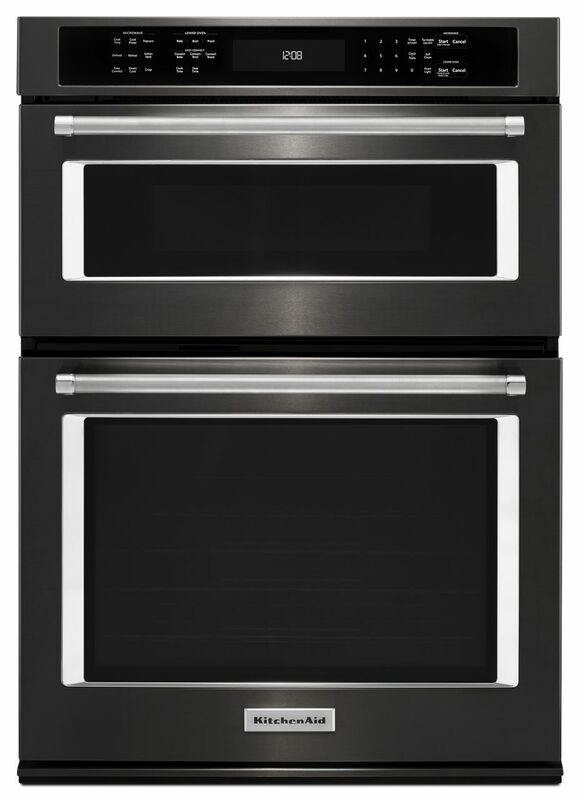 We’ll be ready to serve up warm food from our roomy KitchenAid® 30″ Double Wall Oven with Even-Heat™ True Convection. 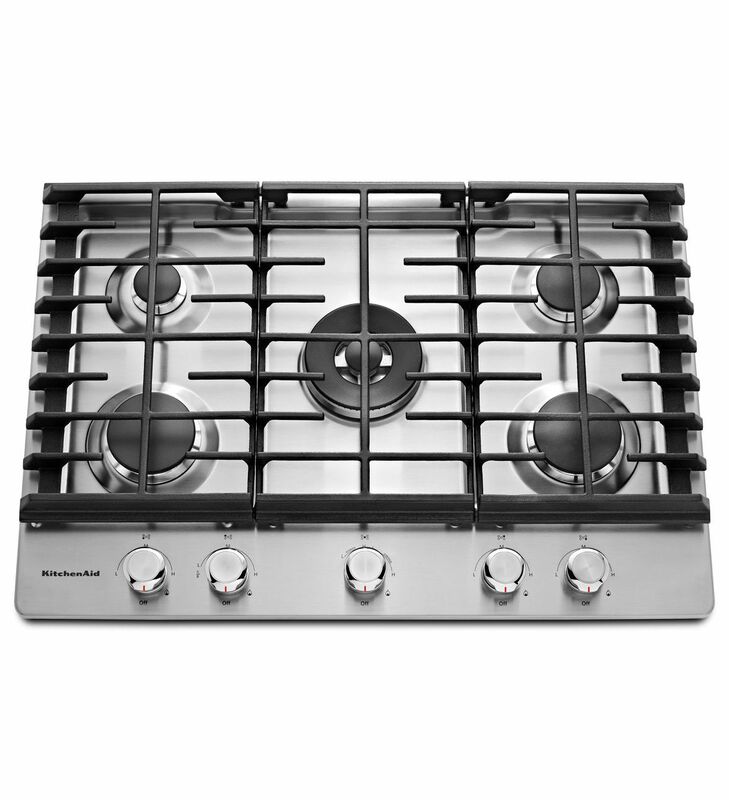 The two ovens are great for easily making multiple courses of different appetizers at once. 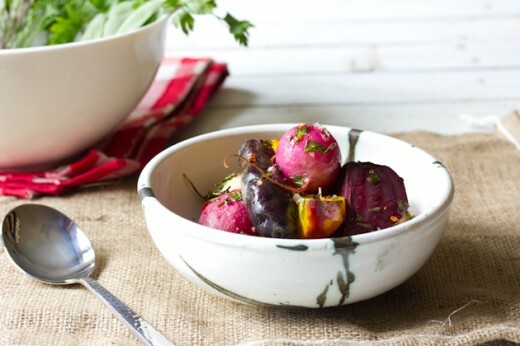 When it comes to winter entertaining, probably some of the best dishes to share that everyone enjoys are appetizers. We love serving only appetizers at many of our gatherings because it’s a fun way for everyone to taste different bites of various dishes. That way, guests can satisfy their appetites throughout the evening without feeling too full. Think of it as an evening full of tapas and flavorful bites. Two great crowd favorite appetizers are this warm cheesy crab dip and ground turkey-stuffed mushrooms. The warm cheesy crab dip has just enough crab in it to satisfy all those seafood lovers with the perfect balance of cheese decadence. Serve the crab dip right in the KitchenAid® Nesting Ceramic Casserole on a platter full of crackers, chips, bread or vegetables and before you know it, guests will be coming back for a second helping. Another great appetizer to serve is warm stuffed mushrooms with ground turkey and parmesan cheese. They’re the perfect finger food, filled with lean turkey and all bound together with some cheese and bread crumbs. There’s warm cheese goodness balanced with panko-crunch all at the same time. Make sure to make enough to feed at least 2-3 per person because they’re that good! And with our new KitchenAid® 30” 5-Burner Gas Cooktop, we’re able to power through all the cooking we need during the winter, including these two amazing apps! 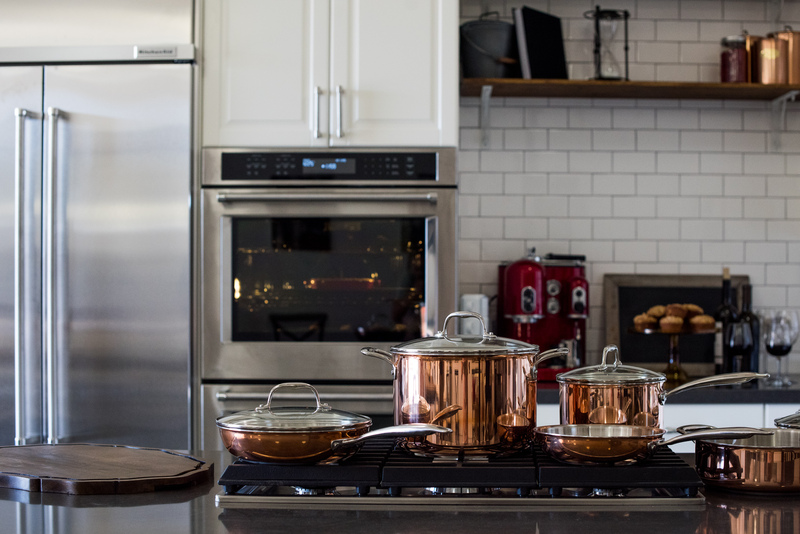 For winter party cooking, we love pulling out our gorgeous KitchenAid® Tri-Ply Copper 10-Piece Set. 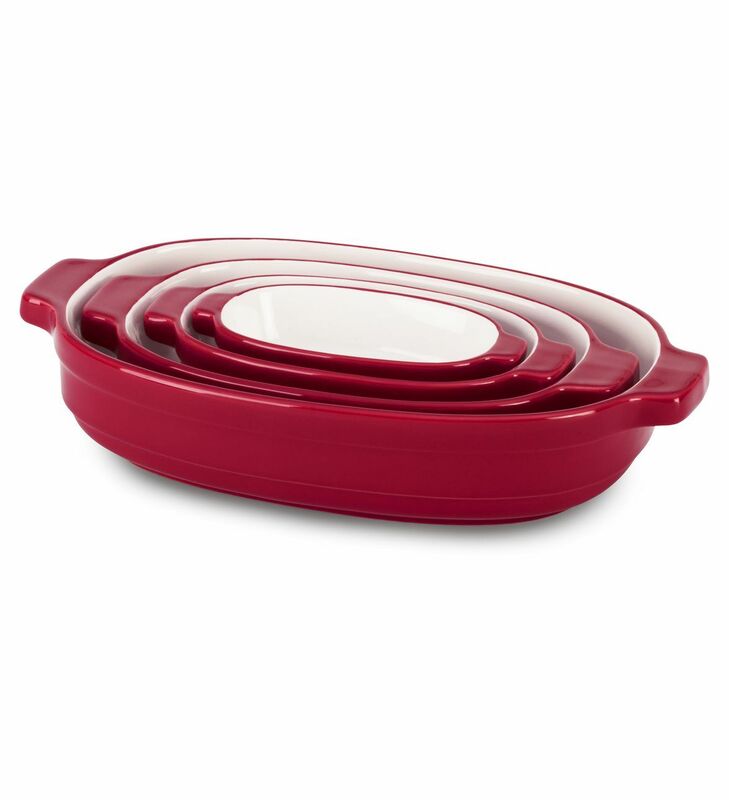 These pieces are stunning and absolutely perfect for all those warm stove-to-oven meals with their oven-proof handles. No more having to transfer food to bakeware. 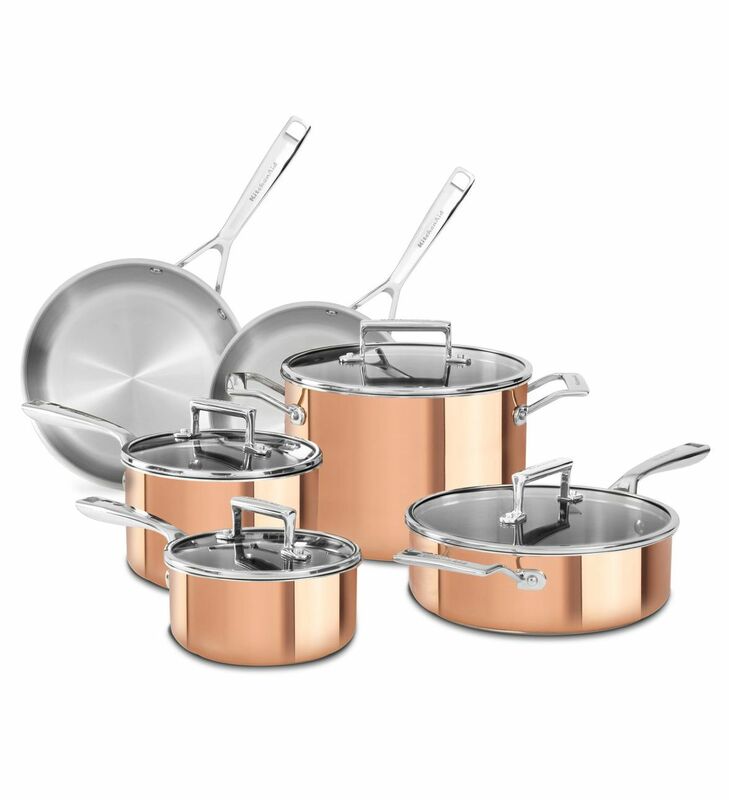 All we need to do for our hot, comforting winter dishes is to prep, cook and then bake seamlessly in the copper set, which is oven safe up to 500 degrees F. The aluminum and stainless steel base of the Tri-Ply Copper 10-Piece Set heats so quickly and efficiently. And best of all, the warm and comforting look of the copper is so perfect for decorating the kitchen during this season. As the copper ages and gets its patina look, we’ll fall in love with it so much that we might just keep it in the kitchen year round and not just for the winter season. Happy holidays! To learn more about our new KitchenAid kitchen, visit our blog. Be sure to share your take on these crab dip and stuffed mushroom recipes with us on Instagram using #MadeWithKitchenAid for a chance to be featured. Pre-heat your KitchenAid® 30″ Double Wall Oven with Even-Heat™ True Convection to 375 degrees F.
In large bowl, combine cream cheese, mayonnaise, parmesan cheese, chopped green onions, lemon zest, lemon juice, black pepper, granulated garlic and sea salt. Mix until everything is smooth. Add the crab meat into the cheese mixture and stir until everything is combined. 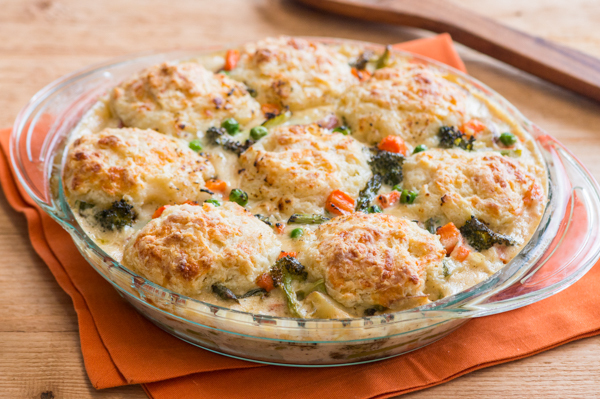 Pour the crab dip mixture into an oven-proof baking dish, like the KitchenAid® Nesting Ceramic Casserole. Bake the dip for about 25 minutes or until the dip is hot and bubbly. Allow the dip to cool slightly. 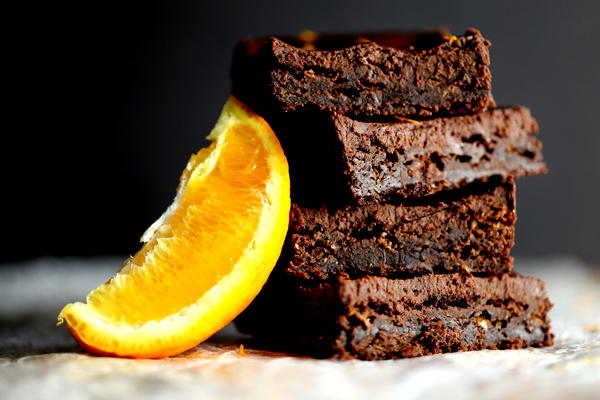 Serve with bread, crackers and/or vegetables. Pre-heat your KitchenAid® 30″ Double Wall Oven with Even-Heat™ True Convection to 400 degrees F.
Brush/wipe off mushrooms in water. Dry them completely, then remove the stems. Reserve the caps to be stuffed and mince the stems and then set aside. Heat the 3.5-Quart Sauté pan from the KitchenAid® Tri-Ply Copper 10-Piece Set on medium-high heat. Add oil and then cook shallots, garlic and minced mushroom stems until soft. Add ground turkey, thyme, smoked paprika and cook until crumbled and brown. Remove from heat. In a bowl, combine mayonnaise, parmesan cheese, bread crumbs and parsley. Add the turkey filling and stir the mixture until well combined. Add about 1 heaping tablespoon of the filling into the cavity of each mushroom or until the filling mounds over the top of the mushroom. Repeat until all mushrooms are filled. Top with additional bread crumbs. Bake mushrooms for about 20-25 minutes or until the mushrooms are golden brown on top. (Option) Top with extra minced parsley and serve warm.